A campaign has been launched urging tourists to use the steps at a Greek beauty spot instead of riding donkeys, which is giving the animals spinal problems and saddle sores. Holidaymakers in Fira, a town on the Greek island of Santorini, are invited to take a donkey ride up the cliffs rather than climbing the 520 cobbled stairs. But, as tourists get larger, the animals are suffering more and the trips are exhausting them. Activists are now working with the cruise-line industry to inform those travelling there of the stress placed on the mules when they’re forced to carry human cargo. “The campaign is about to start,” the volcanic island’s mayor Nikos Zorzos told The Guardian. “Representatives from the cruise liner association were here in my office this week promising to raise awareness and from our side we’ll be distributing information leaflets. My bike needs a new saddle. Could you lower the saddle for me? The streets of the main village are still cobbled. Caring for young children can exhaust you physically and mentally. She was exhausted by running up the steep hill. The long journey exhausted the children. I’ve exhausted myself with all that cleaning. The ship was carrying a cargo of wood. The ship and all its cargo sank. The animals have been used at the island’s clifftop capital for centuries, shuttling people from the port to the main town, 400 metres above sea level. 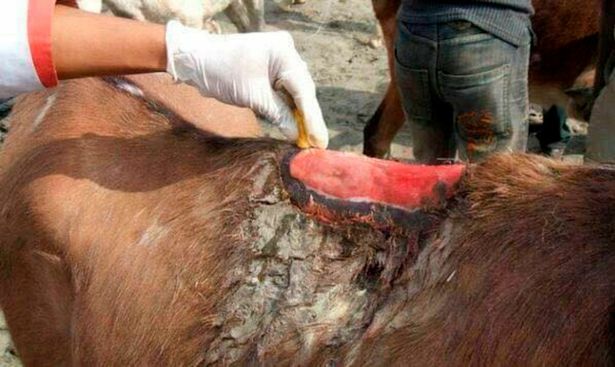 As many as 17,000 tourists a day arrive on the island from cruise ships, and the soar in demand has meant more donkeys have been recorded suffering from spinal injuries, saddle sores and exhaustion than ever before. It is estimated there are as many as 4,000 donkeys being used, with some forced to make four or five return journeys a day, even when temperatures go above 30 degrees. A van shuttles between the hotel and the airport every ten minutes. A bus shuttles constantly between the terminal and the runways. A shuttle service operates between the hotel and the beach. The New York to Boston shuttle is usually on time. He is determined to push the bill through Parliament. We are trying to push this deal through as quickly as possible. 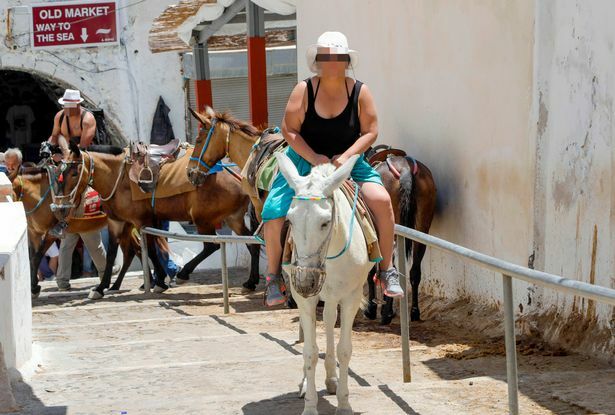 The In Their Hooves campaign, set up by The Donkey Sanctuary and backed by Cruise Lines International Association, asks holidaymakers to stop and think before taking the rides in Santorini or elsewhere. The group plans to set up an import business. After the war, she set up shop in a quiet Yorkshire town. Both main parties are backing these proposals. The management has refused to back our proposals. We’ll back you all the way on this one! Manufacturers agreed to draw up a code of practice on the promotion of alcoholic drinks. What happens in the next few days is critical to our success. The president’s support is critical (to this project). What happens in the next 48 hours is critical.